Get MORE with MORETTO..MORE service..MORE results! LET CHRISTINE'S 19yrs OF EXPERIENCE WORK 4 YOU! When we decided to start looking for a house and called one of your listings, you were prompt in returning our call, very courteous and eager to help. After meeting with me, my wife and kids could see that you were the agent for us. Christine, you are a very professional person and I can see that you take the needs of your clients and make it your own personal agenda to please them in every aspect. You did the research on all the listings before sending them to us, so we wouldn't have to worry about the little things, or be discouraged in any way that we couldn't find a house. You made EVERYTHING easy for us! It's nice to know that I can send referrals to you and they will be treated like family. You truly are a friend in the Real Estate business! Your selected location. Are you set on a specific area? Downtown? The suburbs? A country setting? There are also additional costs to keep in mind. It's a good idea to work out exactly what you want and what you can afford before you begin the search. Be specific! After all, you don't want to suddenly come to the realization that your dream house has come with a nightmare of bills and expenses. Stick to looking at houses in your price range. The more you've thought it out, the better I can meet your needs. Please contact me if you have any questions about buying a home in Windsor or elsewhere in Ontario. We are writing this letter as a way to express our thanks for the excellent job you did listing and selling our house. 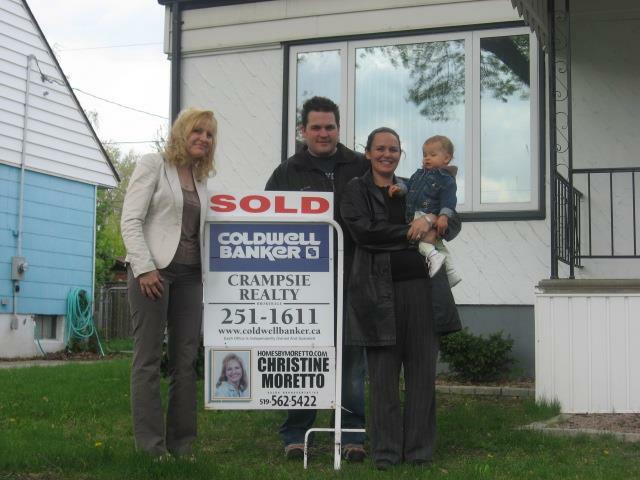 Your determination, knowledge and go getting attitude went above and beyond what we expected in a Real Estate Agent. You took the time to show us numerous listings and always answered any questions we had. You finalized our expectations with finding the house we were looking for in a very short amount of time without any complications. It was a pleasure to have you as our Agent and we would highly recommend you to anyone requiring Real Estate transactions. Christine, I was very impressed with your genuine concern and interest in aiding me with the purchase of my 1st home and felt much assured that every detail was taken care of. It is nice to know that there are people like you who put their whole self into their work to make the sale or purchase of a home a positive experience!